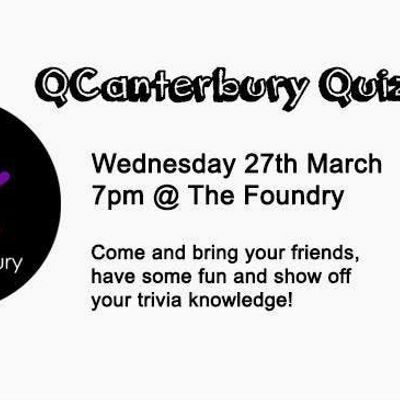 Come along to QCanterbury's annual quiz night! Grab some mates and come to the Foundry for an awesome night of trivia, including a rainbow round. We'll have some great prizes up for grabs. See you there! Cost: $20 for a team of 4-6 people Doors open at 6.45pm.